Marina Hills is a beautiful centrally located Laguna Niguel neighborhood with beautiful homes and great amenities, such as pools, tennis courts, outdoor bbq areas, a 12 acre park with soccer and baseball fields, running trails and much more. About 1250 homes compromise the neighborhood. A very sought after and a favorite within Laguna Niguel, the Marina Hills homes are always in high demand. Very family oriented, the Marina Hills homes are all tract homes, and have condo options with townhouses and single family homes. Search all Marina Hills Homes currently listed for sale in the MLS or read more about the Marina Hills Real Estate options. For more information about any of the homes listed here, please contact us by email or by calling us at (949) 888-6788. MAJOR PRICE REDUCTION!!! SELLERS SAY GET IT SOLD! HILLS VIEWS! Finely appointed MARINA HILLS HOME! PEAK OCEAN VIEW! 4 Bedroom, 2.5 Bath, PLUS LOFT! 3 CAR Finished Garage, WITH STORAGE. Single Loaded Cul De Sac Street. Remodeled Kitchen, Granite counters, Expanded Island, Newer Appliances, Glass Cabinet Insets w/lighting, Walk in Pantry. This is a Finely Appointed Home, pride of ownership shows throughout. Natural light abounds in this home! 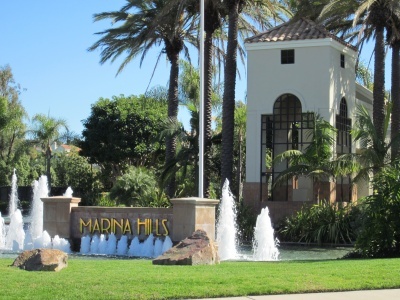 Marina Hills is located in Laguna Niguel, within the Marina Hills Rd. and extending south to Golden Lantern Avenue and north to Niguel Road. The Marina Hills real estate options are compromised of 12 tract neighborhoods with about 1,250 homes. These homes were first built in the late 80's, to early 90's, with the last homes built by 1995. The neighborhoods are Amarante, Bel Fiore, Cabo del Mar, Heights, Palacio, Terracina and Vistara. The town homes neighborhoods are Chandon, Encore, Monaco I, Monaco II and Siena. Facilities and amenities in Marina Hills include a clubhouse, a recreational center with a Olympic size swimming pool, several tennis courts, soccer and baseball fields, sand volleyball court, basketball courts, barbeque areas and not to mention close proximity to the parks that surround the neighborhood, like the popular Chapparosa Park and Hidden Hills Park and the neighborhood Marina Hills Park,a and Parc Vista parks, with many more smaller parks. 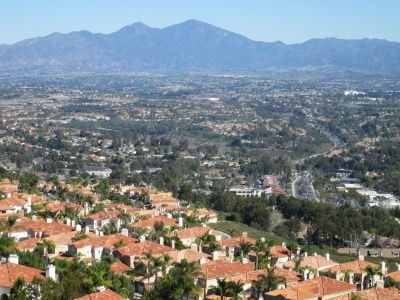 OCExecutives specializes in real estate transactions of Laguna Niguel California Marina Hills Homes. Contact us today to sell real estate or buy real estate in the Marina Hills Community or for more information about any of these homes. If you would like to see a list of homes in other communities in Orange County, follow the links above, or click here for other Orange County Real Estate or Laguna Niguel Real Estate options.